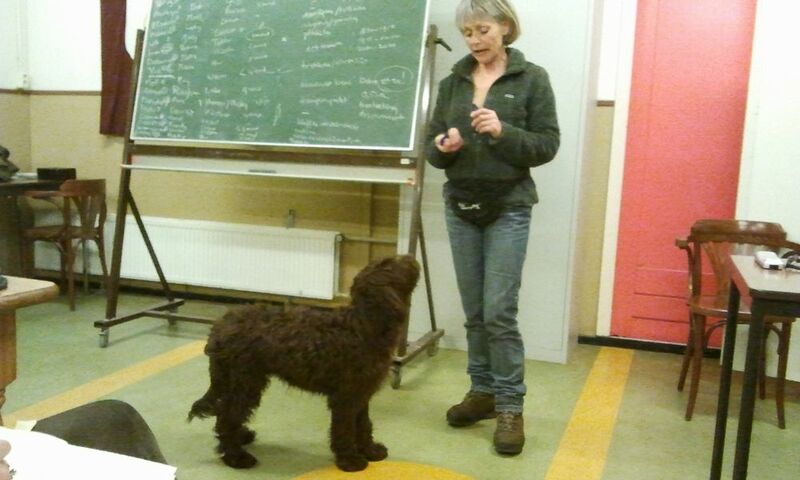 Moët and I started a clicker training class for hunting dogs at KynoQuest. I started training Moët with the clicker at an early age. It is such a superb tool for efficient training. 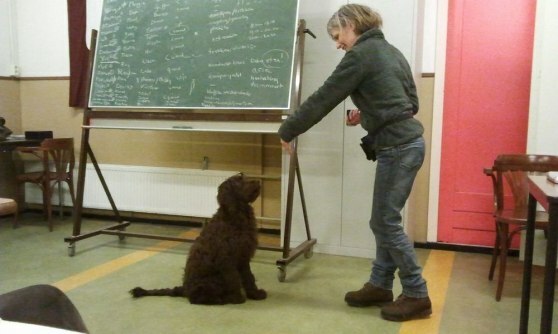 At the first theory lesson the trainer Let Stevens, used Moët to demonstrate learning a new command - touch. She was very apprehensive and learned quickly! We will now be going twice a week. I have a working Barbet and although I don't use the clicker often, in the past it proved VERY useful for training a good delivery. I think it is good for specific "problem skils" ! Good for you! Just a tip - in clicker training we use "cues" rather than "commands." Cues are an opportunity for reinforcement whereas commands are orders. "An opportunity for reinforcement" - what a fantastic way of explaining what clicker training is. I will remember your tip! Thanks.